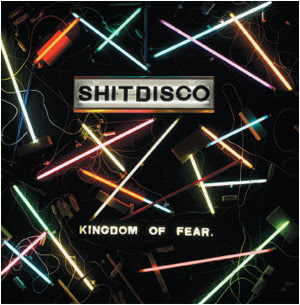 "Kingdom of Fear" is the first album by Glasgow dance-punk/new rave band Shitdisco to be released on the 16th April 2007 on Fierce Panda Records. It contains newly recorded versions of tracks from their Disco Blood/I Know Kung Fu EP, their first single "Reactor Party" and 7 new tracks, including new single "OK" (released 23rd April). The title is taken from the last book by American author Hunter S. Thompson.